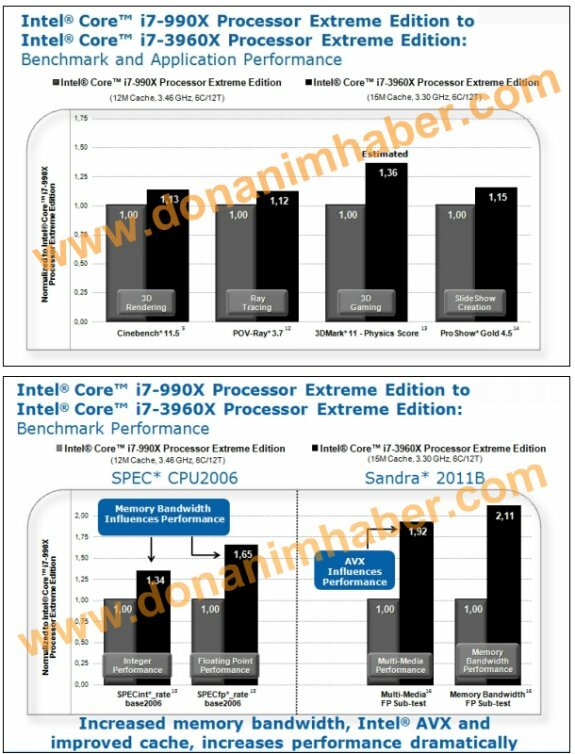 The Sandy Bridge Extreme Core i7-3960X chip, believed to be scheduled for release later this year, makes use of a new LGA2011 form factor and features six hyper-threaded cores paired with 15MB of onboard cache. Recent speculation intimates that the chip will be clocked at 3.3GHz, with Turbo Boost technology allowing it to hit 3.9GHz in certain scenarios. Arriving as Intel's pick of the bunch, the i7-3960X is likely to carry a familiar $999 price tag that puts it out of reach of most users, but will be joined by two more affordable options.